RiseAndGrind posted in the 2019 recruiting thread that (according to Pat Lawless) 2020 PSA Cardinals point guard R.J. Davis has an offer from SLU. I'm guessing he's a teammate of Hasahn French, three years after? Members of the 2020 class are in the process of completing their freshman year. When the 2017 class officially closes in a few weeks, I will 'slide' the classes upward on the Recruiting Lists, bumping 2018 to the top and 2020 will go where 2019 is now. I don't presume to speak for the board, but I would prefer it if you would keep the 2017 list and add new posts for 2020. Perhaps you could slide 2017 beneath 2020. My reasoning is that then we'd have an easier time tracking how players SLU offered or was interested in fared at their various destinations -- because that data would be in one place. It's up to you, but I think we could have seven or eight running lists active in the Recruiting Lists thread: you have your own SLU-centric Verbal Commits! Not that you would have to update any data to classes that have matriculated. Opinions? Hmmmm. Except that the lists aren't static, and I delete names as they commit. So 2017 is a shell of what it once was, for example. That's not a bad idea - it's just that I'm late to the game for 2017 and all previous classes if we wanted an archive of sorts. That's cool; I think we all can deal! We're grateful for the work you've been doing for us for free. So let 2018 be the start of a more comprehensive archive, with 2017 being partial. 2020 is open. I have a couple names on my "watch" list that I'll share shortly. I'm bumping the classes in the Recruiting Lists thread. In the meantime, if anyone has any SLU 2020 recruiting news, this is the place. There are a handful of others I'm tracking but these seem to be the top prospects at the moment. Bradford is a big-time prospect already, a top-50 player in some rankings. Kasubke is top-100 per some services. McDaniels is a stud athlete who has competed in national events since 6th grade or so, so he's already ranked in some places, too. He's also a good football player but I think basketball is his favored sport. Bradford is going to be really good but Kasubke and Love are currently the best players on this list. The battles between CBC and Chaminade will be hot tickets the next few years. I like Kasubke quite a bit. I heard Nesbitt and Love are likely the best currently with Bradford having a lot of potential. Having seen Branson, obviously he is young, but I wonder if he will have the athletic ability to be a major DI prospect. What is known about the Richardson kid? 6'4 freshman with solid stats in his first high school season (15.6 points and 8.2 rebounds), but against a smaller school schedule. What do you know about Julian Winfield's kid? I saw he is at Chaminade, class of 2021. As for 2019, Ray Adams is one to watch out of WG. Blossom has said hes the best deep shooter hes coached yet. 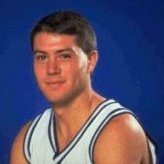 If you remember, Drew was a great 3pt shooter in college. Ray shot something like 49% from 3 this year. His issue as of right now tho, he cant do much other than shoot from long range. I'm hearing a lot of good things about him, for sure. He definitely has plenty of local basketball people who think he's one of the best players in the class, if not the top one. Does he have CBC ties? Did he go there briefly or is he transferring? There isn't much information about the 2020 kids online yet, but I saw a couple places that had him listed as a CBC kid instead of Lutheran North. McDaniels did an interview and claims to have three offers already, but I haven't been able to confirm whether that's true, or which schools. Branson is billed as having a pretty complete game, high IQ, yada yada yada - all the typical racially codified descriptors - which means they also say he's limited athletically. But he's got a good frame for his age, shows some toughness, can shoot it and handle it. I think he's big and versatile enough right now to project as a D-I prospect, but that's assuming he's not just an early bloomer, because that's assuming further development. I know Chaminade didn't lose a ton with the graduating seniors, but I think he's probably going to see a lot more time this upcoming season, so we'll get a better idea of who he is. Richardson is probably going to continue to fly under the radar for a while as long as he stays at Hancock and doesn't otherwise explode in the AAU world in the meantime. (For those who don't recognize the name, Hancock is a smaller school - about 400, co-ed - in the same league as Bayless, Brentwood, Valley Park, and Crossroads. It's in Lemay, kind of in between Bayless and Mehlville.) He led his HS team in scoring as a freshman, and they went 22-5 overall, 7-1 in conference, losing to Whitfield in the playoffs as Watson went off for 44. He's not much of a shooter at this point, having only taken 5 3-pointers all season and going 64.5% from the line. He rebounds the wing extremely well, 8.2 RPG. Earl describes him as a "long, athletic, active young pup" who has really impressed him so far. He's listed at 6-4, 165. I *think* he plays AAU ball for Gateway on the Adidas Uprising circuit. That's about all I've got on him; there's just not much out there yet. There's good video on some of these kids already, so I'll have to get around to some of those highlight reels when I get a chance. Care to elaborate? I'm just curious why. If that's true, meaning we're outdoing 2017 and 2018, that's really saying something. It's possible; the kids we've offered are almost all top-100 names, and those that aren't are certainly intriguing prospects. We've got offers out to the best locals, and I don't see us going much past Collins because 2019 is not a deep local class at all. Getting viable talent in 2019 will be crucial in holding the line and keep from having a big dropoff when Goodwin, French, and Gordon depart, but it's the most difficult class to get, because the promise of immediate playing time will be less, as the core of the team in the 2019-20 season will be Goodwin, French, Gordon, plus those remaining the sophomores from this season upcoming (Welmer, Johnson, Graves, Santos, and [unless his waiver is denied] Bishop). Adding Thatch to that, it's unlikely that any of the c/o 2019 will be in the rotation during their freshman season, if they're not elite. Actually, just three: Bess, Foreman, and Henriquez. 2020 is a much easier sell to recruits than 2019. In 2020 we've got at least 5 scholarships available (Bishop, Welmer, JJ, Graves, Santos) and only more year left for Goodwin and French. The path to playing time for an incoming freshman is clear. I agree with our esteemed moderator, it's unlikely that a 2019 recruit even makes the rotation, short of being a 4 star. Mario McKInney, now that he's improved his jumper, is the obvious choice to join our guard corps. It's going to be very tough to get a city kid away from Cuonzo, though. Recruiting the city schools has always been Martin's strength. Vashon also has a few to watch out for in the 2020 class. CamRon Fletcher and Kobe Clark. 6'5 wings. Who is Davion Bradford? Am I the last one to hear about a Top 25 player from Richmond Heights? Big man at CBC. Don't worry, information about the 2020 class is just starting to hit. You're not living under a rock. You have to be following really closely to have any idea what to look for in the class of rising sophomores, since so few freshmen play varsity ball and even those that do are usually pretty limited in terms of minutes. There's Maplewood-Richmond Heights High School, but yeah, they should take two minutes to do look it up and get the right info.